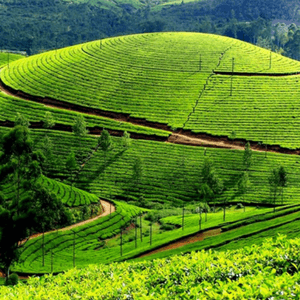 Often called as one of the best hill stations of the country, Munnar has huge tea plantations, hilly terrains and fascinating flora and fauna which can make anyone fall in love with this hill station. There are so many things to do in Munnar that a week’s holiday will also be insufficient. The best time to visit Munnar is from June to September and for monsoon lovers, Munnar is the best place to go for your monsoon vacation. Munnar has always been the cherry on the cake for Kerala tourism. Among the tourist places in South India, Munnar is one of the most serene hill stations that attracts people from all over the country. Rated as one of the most peaceful locations to spend a perfect vacation, Munnar is a dream for most of the Indians. 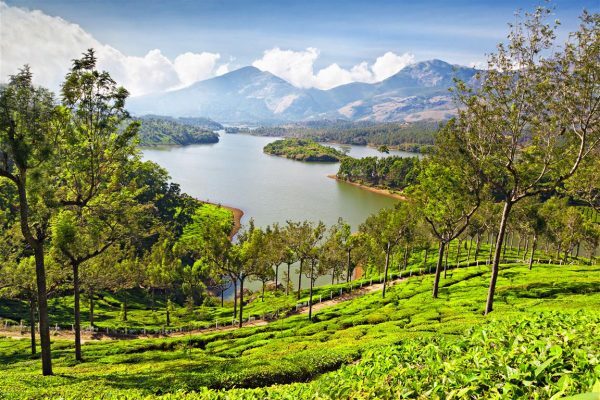 Also located in the God’s Own Country, Kerala, Munnar is a beauty that cannot be described in mere words. 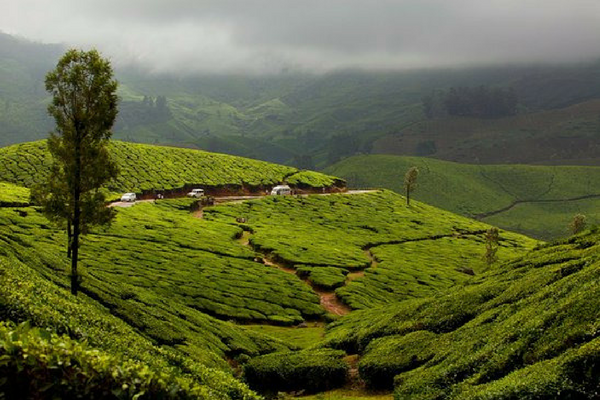 The long stretches of tea plantations amidst the fog and wonderful scenic backgrounds, is an experience of its kind. 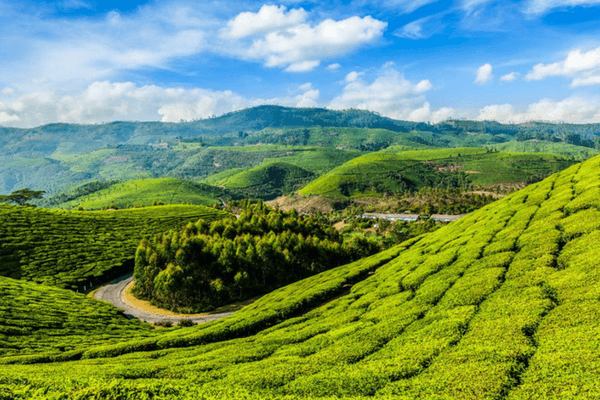 Hence, here is the list of the best places to visit in Munnar. Distance from the airport: It is approximately 121-122 km away from the Cochin International Airport. Best Time to Visit: December to February is the best time to visit. Covering around 16 acres, Blossom Park is located at a short distance of 3 km from Munnar. The park is situated close to Pallivasal Hydro Electric Project. The rare species of flowers make this place worth visiting. One can also do cycling, roller-skating and boating in the park. Visitors can also enjoy the camp fire along with the music playing in the background. The best time to visit this park is from December to February to enjoy the mesmerizing beauty of the natural scenic beauty. The beautiful flowers and lush-green grass is the perfect place to hone your photography skills and all these factors make Blossom Park one of the best places to visit in Munnar. Among all the Munnar places, the Blossom Park is one of the best places to see in Munnar, as it gives you a glimpse of the natural beauty that Kerala is. 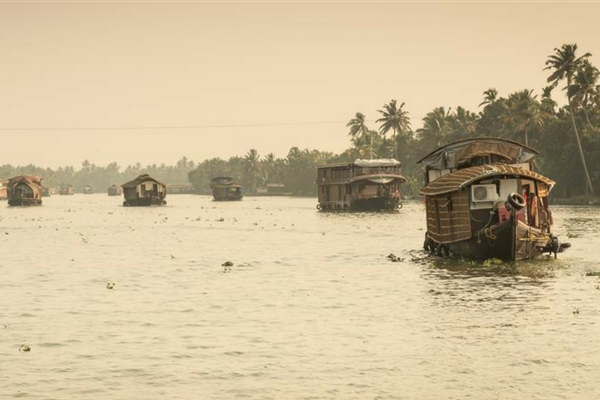 Distance from the airport: It is approximately 107-108 km away from the Cochin International Airport. So, you cannot live without tea? Munnar is your place. It is a home for tea-lovers. Known as the highest tea plantations in the world, Kolukkumalai Tea Estate is renowned for its different flavours of tea. Tourists can taste the different flavours of tea and can also buy the fresh tea from the factory outlets. One can also see the splendid view of Kodaikanal and sunset from Kolukkumalai Tea Estate. Distance from the airport: It is approximately 132-133 km away from the Cochin International Airport. Best Time to Visit: Sunset is the best time to visit. 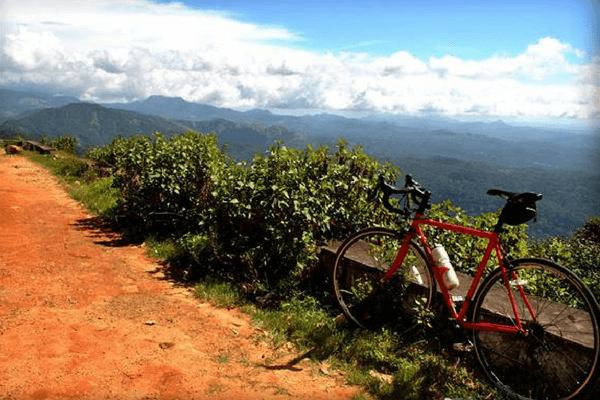 Located at a distance of 6 km from Munnar, Pothamedu View Point is full of tea, coffee and cardamom plantations. Pothamedu is covered with hills and green mountains. For trekkers and hikers, this is the perfect place for pumping up your adrenaline rush. One of the best places to visit in Munnar, Pothamedu View Point is an excellent place to relax or for going on a stroll. Distance from the airport: It is approximately 108-109 km away from the Cochin International Airport. 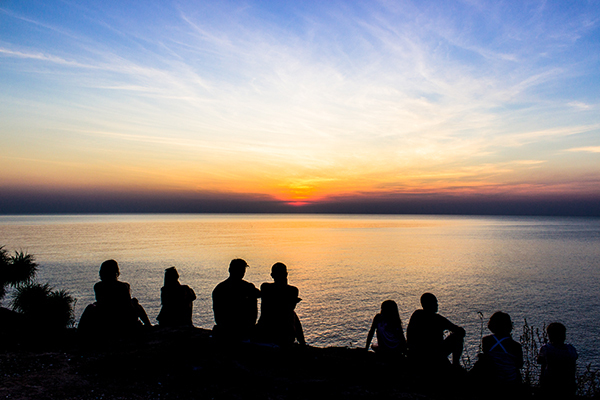 Best Time to Visit: The view from this point at the time of sunsets is perfect. 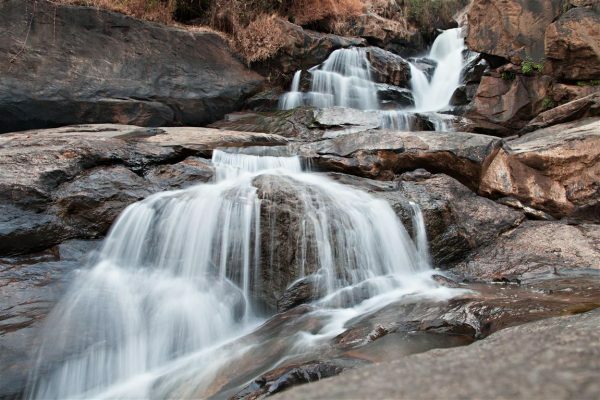 Nestled between Munnar and Pallivasal, Attukal Waterfalls is famous for its scenic beauty and it attracts the tourists from all over the world. It is just at a distance of 2 km from Munnar. Surrounded by the beautiful hills and lush green mountains, Attukal Waterfalls is one of the best places to visit in Munnar. Tourists have to cross the narrow wooden bridge to reach the waterfall. Distance from the airport: It is approximately 235-236 km away from the Cochin International Airport. Best Time to Visit: Monsoons would be an ideal time to visit the falls. Located at a height of 1700 m above the sea level, Top Station is the highest point in Munnar. 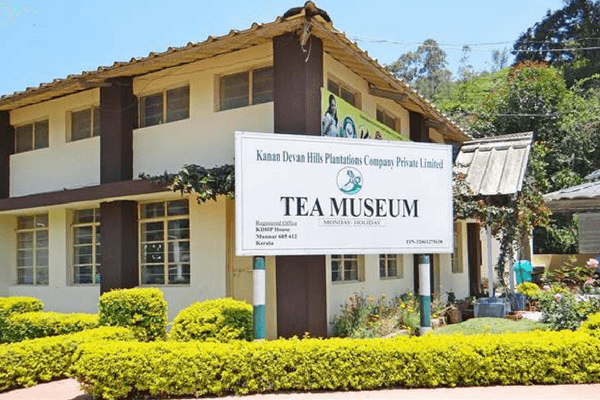 Located on Kannan Devan Hills, one can view the tea valleys, rare species of Neelakurinji plants from Top Station. One cannot miss the breathtaking view of the Western Ghats and the valley of Theni from the Top station. Distance from the airport: It is approximately 144-145 km away from the Cochin International Airport. Best Time to Visit: Winters would be an ideal time to visit the peak. Situated at a distance of around 25 km from Munnar, Kundala Lake is one of the best sightseeing places in Munnar. Kundala Lake was constructed for Pallivasal Hydro Electric Project and is considered to be Asia’s first arch dam. Visitors should not forget to take a Kashmiri-Shikara boat ride at Kundala Lake. Photographers, visit this lake early morning to click the awesome pictures when sun rays falls on the lake. Best Time to Visit: Mornings would be perfect. 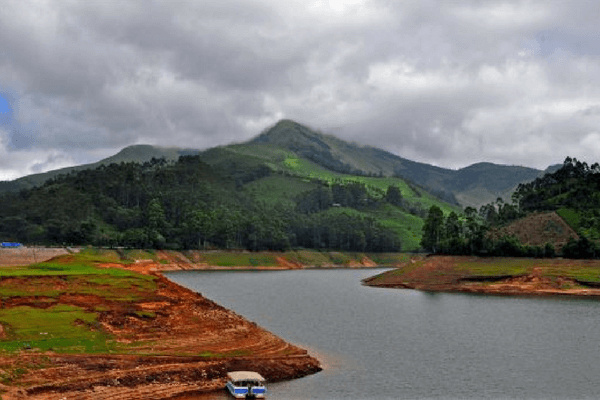 Located at a distance of 12 km from Munnar, Mattupetty Dam is known for its beauty and weather. Visitors can enjoy a boat ride in the lake of dam and also indulge in various activities. . Visiting an Indo Swiss Dairy Farm should be on your itinerary. It is a farm where the new varieties of high yielding cattle are developed scientifically. You will require prior permission to enter the premises and only three out of eleven cattle sheds are open for the visitors. So, make sure you have all the required permits before you reach the farm. Distance from the airport: It is approximately 120-121 km away from the Cochin International Airport. Best Time to Visit: Winters would be an ideal time to visit this place. Giving justice to the name, Photo Point is known for its scenic beauty and is the most photogenic place in Munnar. Photo point is located at a distance of 3 km from Munnar and is filled with tea plantations, woods and hills. So if photography is your love then Photo point should be on your list to explore. It is also famous for tea, coffee and spices like cloves, cardamom and pepper. Photo point is considered as one of the best places to visit in Munnar for its marvellous beauty. Distance from the airport: It is approximately 122-123 km away from the Cochin International Airport. Best Time to Visit: This place is perfect at the sunset time, offering some spectacular views. 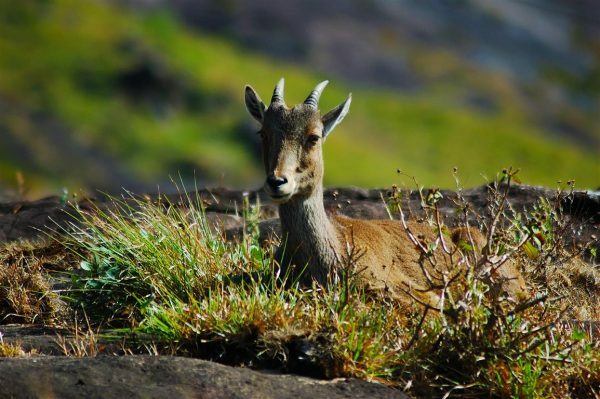 Known as a home of rare species of Nilgiri Tahr, Eravikulam National Park is located at a distance of 15 km from Munnar. Spreading over the area of 97 sq.km, Eravikulam National Park has number of species of sambar deer, jackals, Indian bisons and a variety of mongoose. It is also declared as the UNESCO World Heritage Site. Nilgiri Tahr is one of the most rarest and endangered species and Eravikulam has 750 of it. The uniqueness of this national park is that you can explore it on your foot and not by jeep safari. September to November and from April to June is the best time to visit Eravikulam National Park. Best Time to Visit: September to November and April to June is the best time to visit this place. Situated at a distance of 13 km from Munnar, Lockhart Gap is one of the major tourist attractions in Munnar. Lockhart Gap is the perfect place for those who love the lush-green valleys and calm breeze. As Lockhart Gap is a part of Munnar, this place also has expansive tea estates. Lockhart Gap is also an ideal place for trekking and mountaineering. One can explore the rare species of flora and fauna while trekking. Distance from the airport: It is approximately 110-111 km away from the Cochin International Airport. Best Time to Visit: Summers are a perfect time for the trekkers, as the way is pretty clear. 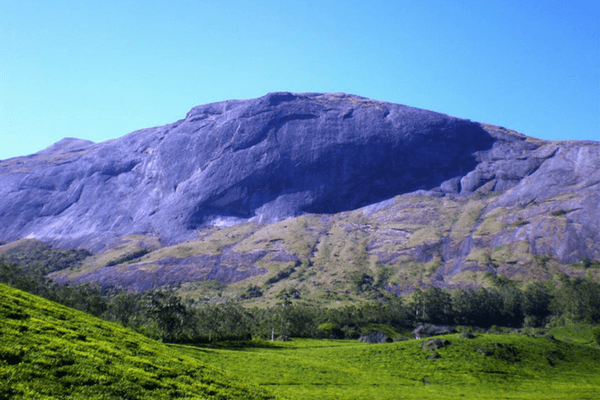 Located at a height of 2695 m, Anamudi peak is the tallest peak in South India. Anamudi Peak is situated inside the Eravikulam National Park. It is popularly known as the ‘Himalaya of the South’. Trekkers can find the trekking facilities available here. Special permission is required from the Forest Department to walk above 2 km from the foothills. So, if you are planning trekking here, make sure you have the required permissions. Anamudi Peak is one of the best places to visit in Munnar. Munnar has always been the cherry on the cake for Kerala tourism. 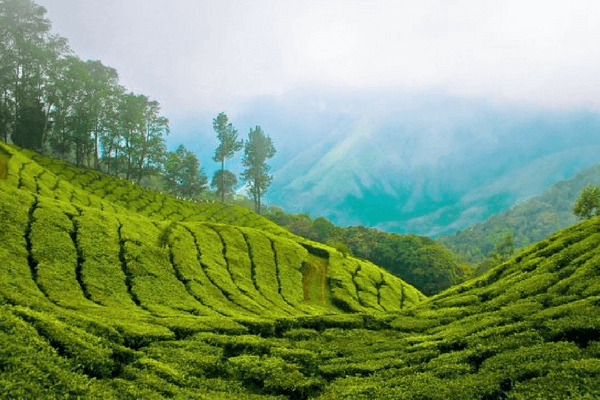 Hence, here is the list of the best places to visit in Munnar. A great place for nature enthusiasts. Good post. The beauty of Munnar has been depicted very well through this article. Enjoyed reading it. Munnar has been on my bucket list, I hope to capture its beauty on my camera. Thanks for this post, as it has shown me the places to get the best out of Munnar’s beauty.